If you’re anything like me, you don’t keep any papers if you can avoid it. If you’re like my brother, you still keep papers, physical business cards, notes and more. He has an at home office and before Christmas I saw his desk. Papers… everywhere. Gave me the idea to build him a wood desk organizer. 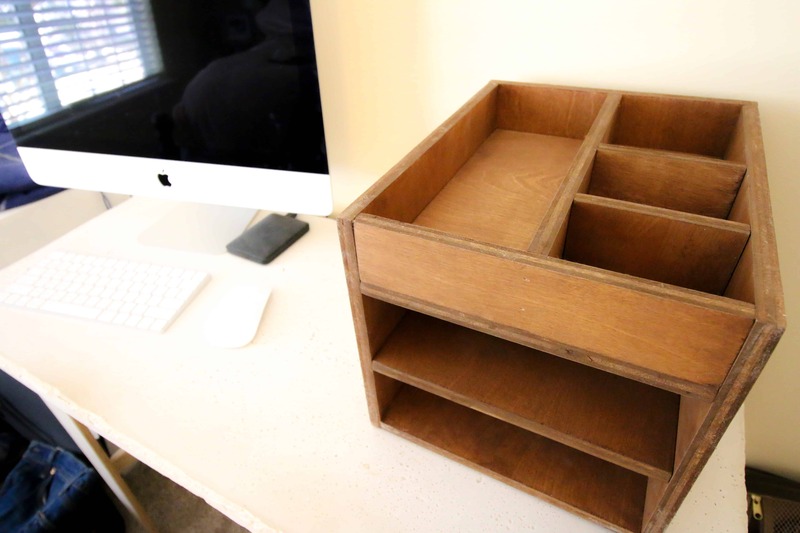 This wood desk organizer is simple to build with some scrap 1/2″ plywood or any wood of your choice! With the current trend of Marie Kondo, you might be looking for some work desk organization ideas or specifically for a desk tray for papers. This wood desk organizer has space for full size sheets of paper, business cards and a couple of miscellaneous sized notes or writing utensils. As mentioned, I used 1/2″ plywood for this build. If you want to use a nicer wood, knock yourself out. These dimensions are length and width, based on 1/2″ thickness of wood on all pieces. 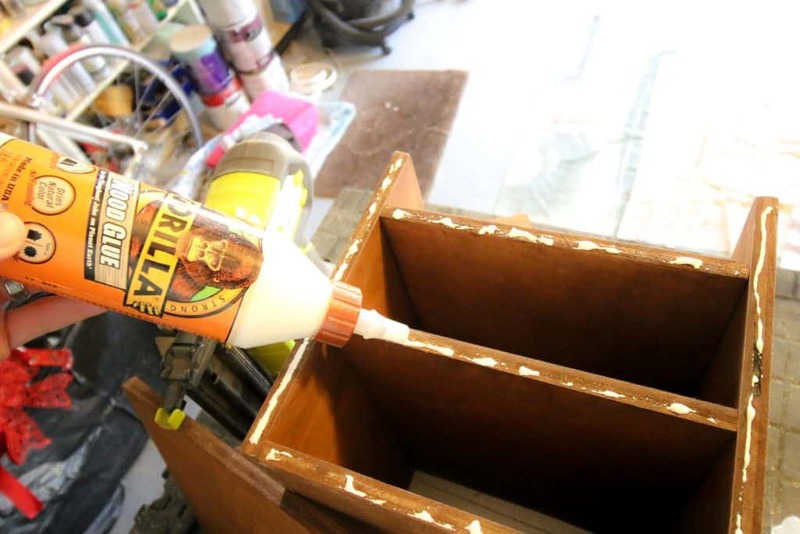 For the entire build, I used Gorilla Wood Glue, 1″ brad nails and right angle clamps to connect everything. Keep that in mind with how I did the following! Also, I would stain or paint all your pieces before assembly. Once it’s assembled, it would be basically impossible to do that inside the cubbies. 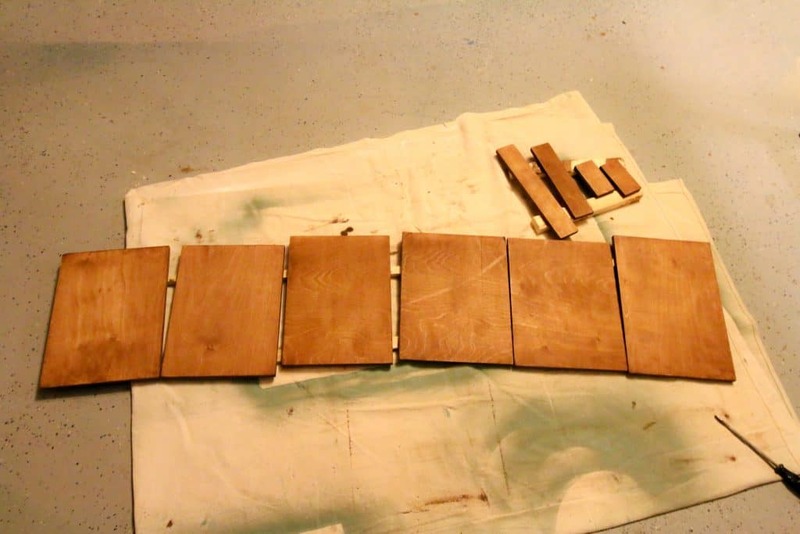 Lining up the 12″ edges, start by attaching one of the inside pieces to the bottom of the two sides. Now, to make sure alignment is correct, attach the front lip piece to the front flush with the top of the sides. 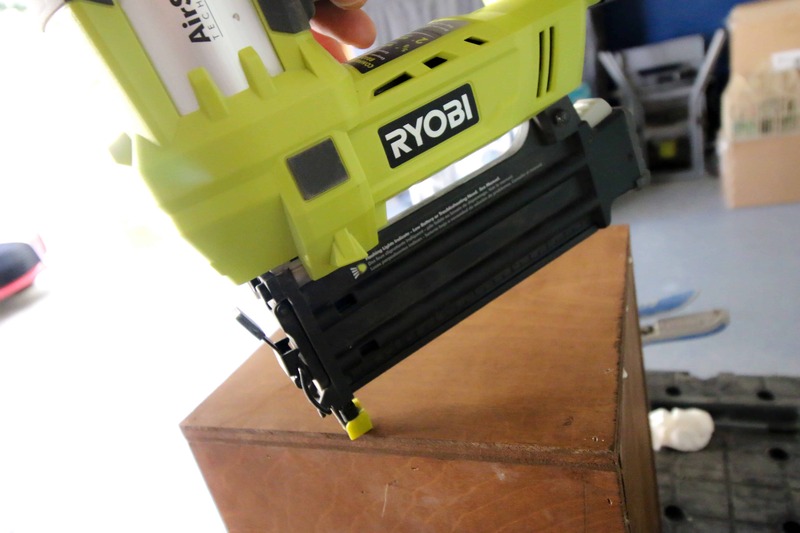 Take your next shelf and attach it flush with the bottom of the front lip. Add your last shelf to split the difference in the middle of the box. Next attach the back to the outside of the two sides and the bottom piece. Finally, add your middle divider and two short dividers to the top section. Space the short dividers out to make two areas for business cards (one for yours and one for your contacts). Attach the middle divider first, but use the two short dividers to make sure it is in the right place. 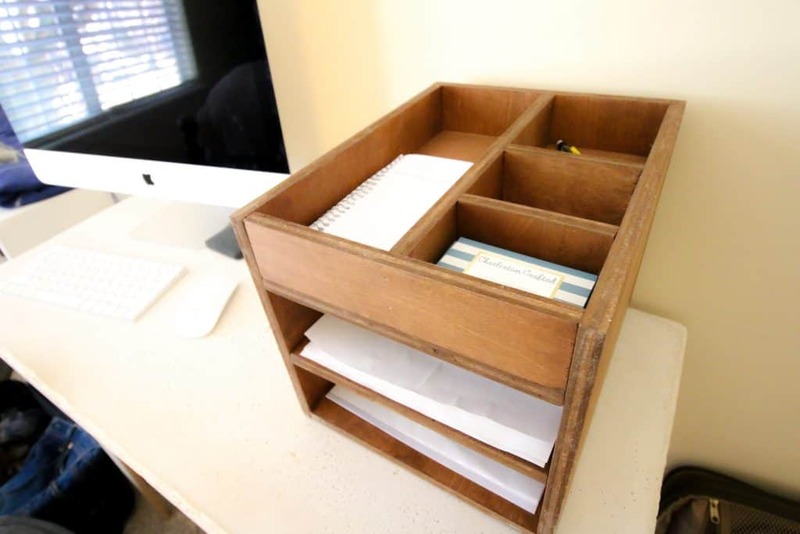 I think this wood desk organizer is great for dividing papers, business cards and notes. Organizing the papers on your desk is a great way to declutter and keep a cleaner space. 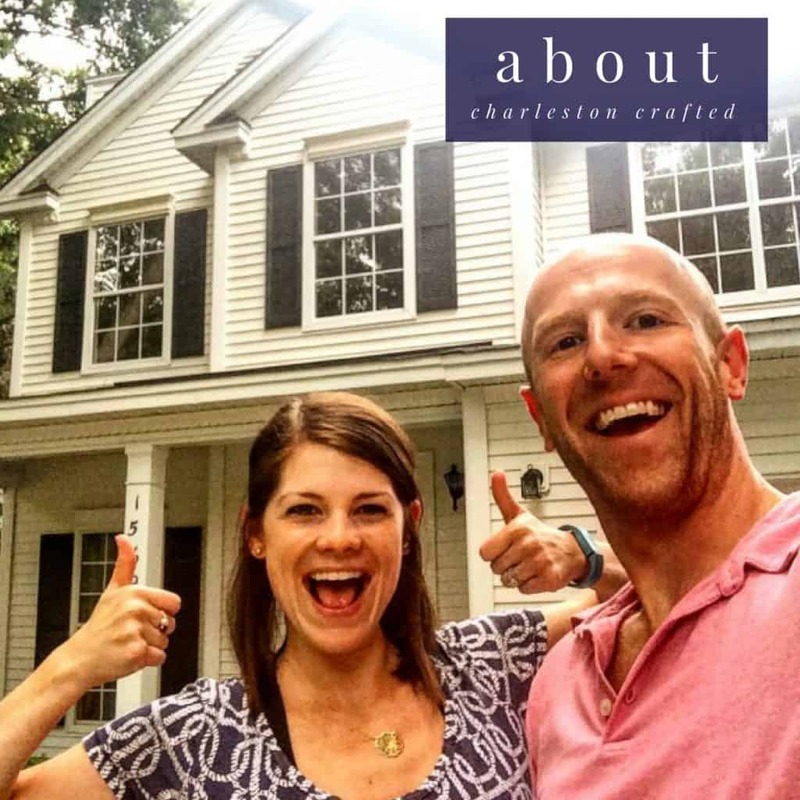 This will lead to a cleaner mind and people will ooh and aah over your new organizer. 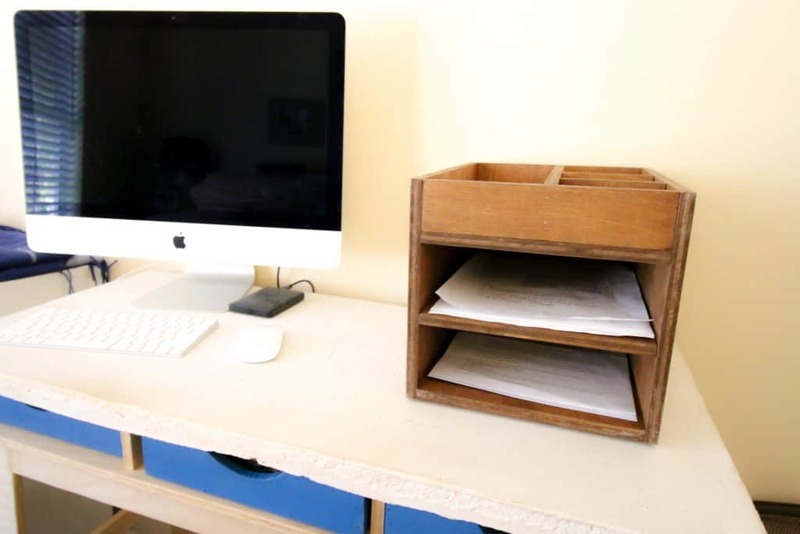 This project is also great for organizing a desk without drawers if you’re using a simple minimalist desk and didn’t build our concrete and plywood desk with our simple desk trays.